Who doesn’t love a mystery? From Sherlock Holmes to Matlock to Columbo some of the most mind stretching stories are ones in which you need to figure out “Who Done It.” I for one enjoy reading or watching the trench coat clad hero confront the suspects and ask them questions to help put the pieces together to solve the mystery. When quizzing the possible defendant the detective is looking for certain things. He or she does not care how the witnesses feel; he only wants to know what they saw or observed. 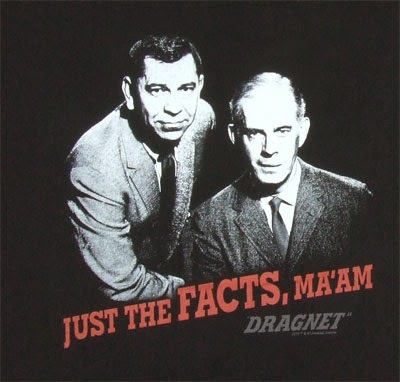 As Dragnet’s hero, Joe Friday, used to put it, “All we want are the facts, Ma’am.” The facts are the pieces that are true and can bring about a solution to the mystery. As we live our Christian lives it is easy to get caught up in how we feel about things. ” I don’t feel like God is hearing my prayers” or “I feel that God must not love me because I have sinned or failed.” These are not facts but feelings and they are unreliable. In John 17, Jesus prayed for His disciples as well as all who would believe in Him in the years to come. He asked His Father to sanctify (or set them apart) by the truth – the truth that is found in God’s Word. He desired that they would not be taken out of the world but protected from the evil one who is the father of lies. The evil one loves to have us dwell on our feelings about God rather than the truth that is found in the Bible. When God says something it is always true because He is not a man that He should lie – what He says He will do and what He has spoken He will bring to pass. Ephesians 2:4-5 says God is rich in mercy because of the great love He has for us. Psalm 18:6 says that God hears the cries of the distressed. 1 John 1:9 says, “If we confess our sins He is faithful and just to forgive us our sins.” These facts are trustworthy because the Lord has said them. No matter how you feel these things will never change. Next time you are wondering about God and His thoughts towards you, put aside all your feelings and go straight to the Bible to find out the truth. Because as Joe Friday says, “All we want are the facts, Ma’am.” That’s what you can rely on!